Iris Gillon IGMC has been well recognized as the leading wedding and event planner in New York. 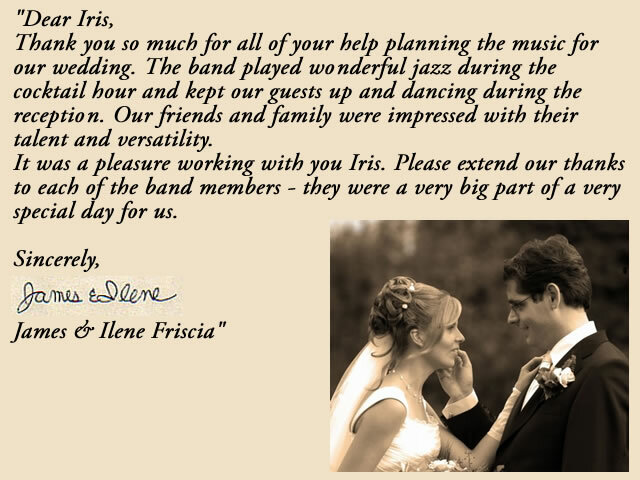 For over 20 years, Iris Gillon IGMC has provided superb quality wedding and corporate event entertainment and planning. With unmatched knowledge and experience, Iris Gillon IGMC takes the headaches out of planning your event. With hundreds of acts available for entertainment, Iris Gillon IGMC can get you the perfect entertainer for your wedding or corporate event. Wedding bands, Classical and Jazz ensembles, Actors, Dancers, DJs, Comedians, Celebrities and Celebrity Look-Alikes, Magicians, Clowns, Fortune-Tellers and more! With expert knowledge of the tri state area, and extensive experience with reception halls and party venues, Iris Gillon IGMC can help you find the best venue, entertainment, and design for your wedding or commercial event.